Bernard and I have been truly blessed to visit Vigan, Ilocos Sur. It took us three years, and Bernard was so ready to give up. It turns out all we needed was the right time–and it finally came. 1. Walk the decent stretch of Calle Crisologo. Calle Crisologo certainly defines the very rich culture and heritage of Vigan. 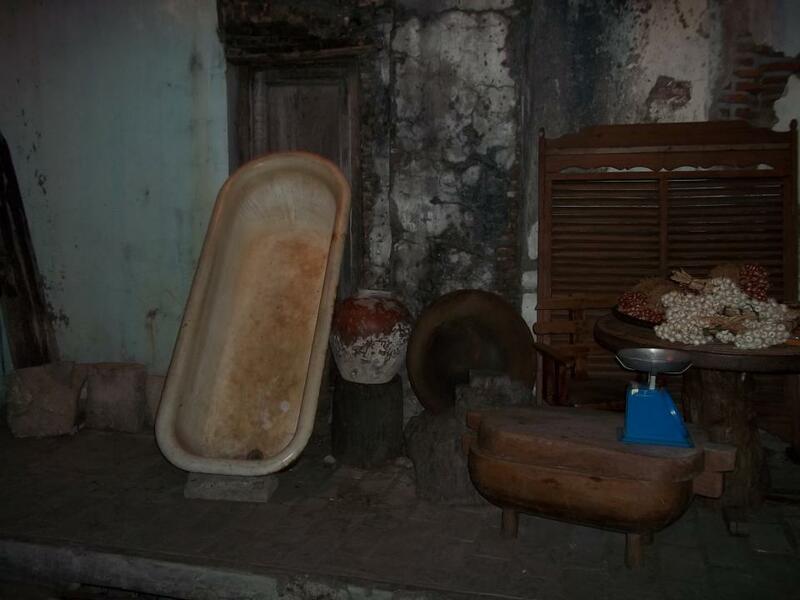 It may sound cliche, but traversing Calle Crisologo is definitely a journey to hundreds of years ago. What makes it even more magical are the several furniture shops selling antique items, from windows made of capiz to even old bathtubs! 2. 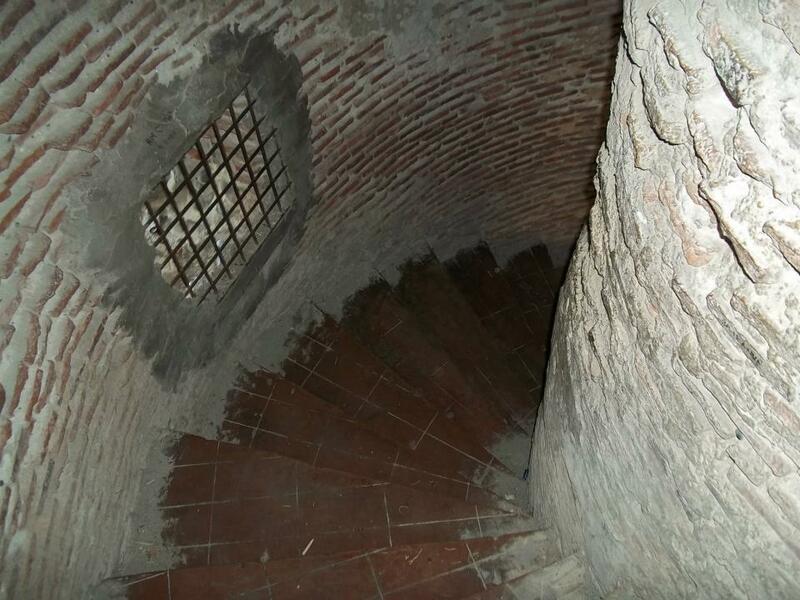 Climb the Bantay Bell Tower. 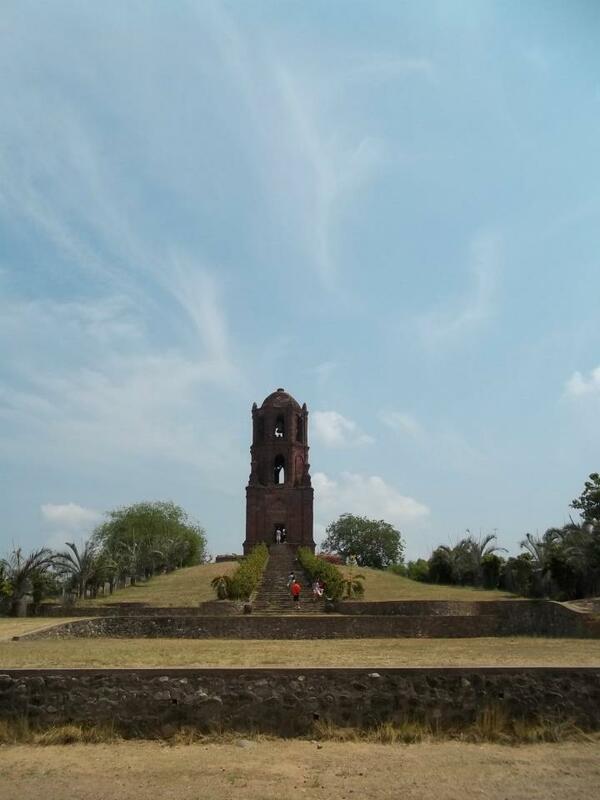 Perhaps one of the highlights of our trip is the Bell Tower located at Bantay. It is only a few meters away from the Heritage City. If you don’t want to walk, you can ride a trike for only 10 pesos or go premium with a calesa ride for 150 pesos (it will take you to more spots, by the way). The Bell Tower I’m talking about is near St. Augustine Church. It’s a magnificent massive structure that has definitely stood the test of time (evident by the huge stones used to build it and the creaking wooden narrow and winding stairs. On top, you can get a glimpse of the rest of Vigan. If there’s one thing you have to keep in mind, it’s to watch your steps. If you’re not used to heights, you may find the climb and the top quite dizzying for a few minutes. I can picture the friars now. 3. Immerse yourself in Flores Hidden Garden. Did I wish to have something like this? You bet! 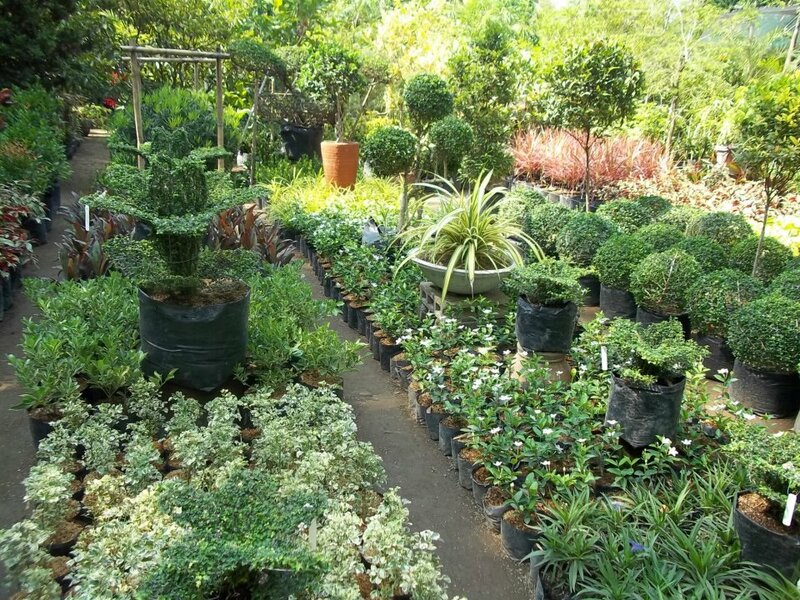 Well, obviously, it’s no longer “hidden.” By the time we arrived there at 9:00 a.m., busloads of tourists were already gushing on the wide varieties of plants, which are sold at very affordable prices too! (I can’t take one, however, since we didn’t have any checked-in luggage.) And, yup, the garden doesn’t charge you with anything, though they’re open for any donation (boxes are found in different places). 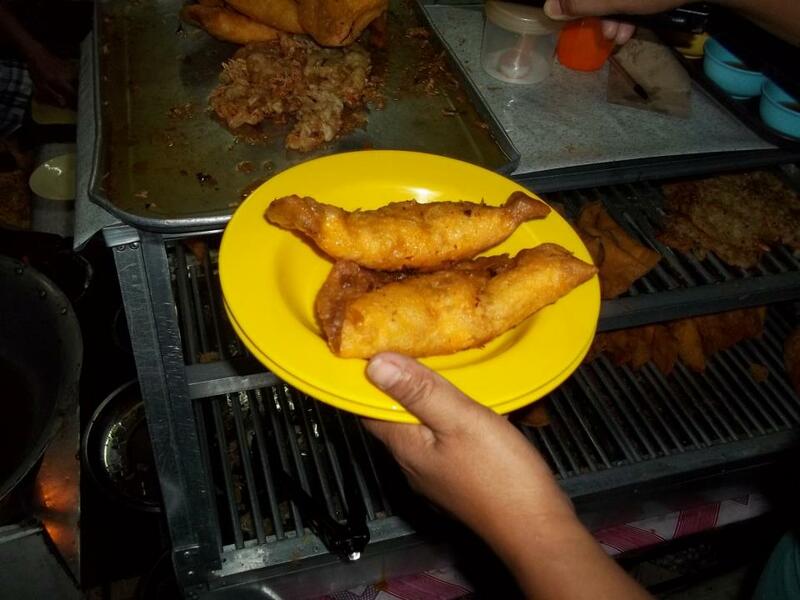 We didn’t try their restaurant or empanada (we already ate one the night before), but as far as their menu is concerned, they’re meant to showcase everything Vigan delicacy is known for. "Woah!" That's definitely what I said when I saw this--in their restroom. And their restroom? Trust me, you don’t want to leave immediately. 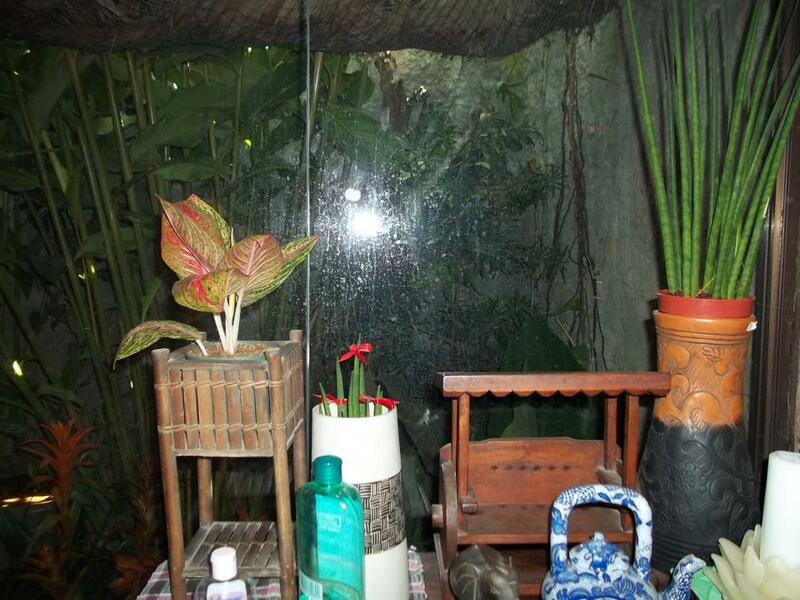 One of their walls is made of glass, using a portion of their garden as a backdrop. To make sure you’ll feel clean and fresh by the time you step out, the restroom also comes with cologne, alcohol, and even lotion. Take note, however, you have to pay 10 pesos before you can use it. 4. Catch the ponies and ostriches in Baluarte. Honestly, we wanted to leave out Baluarte. We found it overrated–it could have been a huge mistake. Fortunately, our gracious trike driver offered to take us there for “free,” and we couldn’t pass up on the offer. The grand land brought me back to my childhood. I felt so giddy seeing those ponies, camels, and tigers (they remind me of Chuck). Most of all, I was so happy to see ostriches! I’ve never met one in my life! The truth is you don’t have to ride a calesa to go around plenty of Vigan’s attractions or landmarks. Almost everything is just withing walking distance: Plaza Burgos and Salcedo, Burgos Museum, St. Paul Cathedral, St. Augustine Parish Church, empanadahan, Calle Crisologo, Syquia Mansion, Cafe Leona, and their provincial jail and Capitol. Vigan is definitely a city that is all about experience, which you can definitely have without the hefty price tag. (L-R) Rene “Tatay Ete” Vendiola, Ramon Aboitiz Awardee for Exemplary Individual, and Manuel Margate who serve as client service department manager of Negros Women for Tomorrow Foundation (NWTF) that was declared Eduardo Aboitiz Awardee for Outstanding Institution, raised the Ramon Aboitiz Foundation Inc. Triennial Awards trophies during the award ceremony last March 22 at Marco Polo Plaza Cebu. Preserving the environment does not need a high educational attainment but it requires a high degree of passion and love for nature. These characteristics are manifested by self-made environmentalist, Rene “Tatay Ete” Vendiola, who is a high school dropout and former kaingin farmer but managed to set up a Liptong woodland that preserves local fauna and species of plants and native trees. For his effort in biodiversity conservation and forestation in Bacong, Negros Oriental, Vendiola was awarded with the Ramon Aboitiz Award for Exemplary Individual during the 5th Ramon Aboitiz Foundation Inc. (RAFI) Triennial Awards last March 22 at Marco Polo Plaza Cebu. For Vendiola, he was not competing with the other four finalists—two priests, a peace promoter in Mindanao, and a former Boy Scout master. “Ang RAFI nangita og tukog sa lukay nga hugpungon aron mahimong silhig. Gihimo mi sa RAFI og silhig. Sa among pagkasilhig, kami ang mogamit sa among nahibaw-an aron makatabang sa atong komunidad (RAFI is looking for ribs out of coconut leaves so that when grouped together, they form a broom. We the finalists are formed by RAFI into a ‘broom’ so that together, we can use our knowledge and help our community),” he said. Vendiola shared over Pagtuki last March 24 that when declared awardee of the RAFI Triennial Awards for the individual category, he felt like crying because it was his first time to get an award. Pagtuki is the official radio program of RAFI every Saturday over dyLA from 10-11 a.m.
As the awardee, he received a trophy and a cash prize of Php 440,000, which he said he will use to build his dream endemic trees nursery. On the other hand, the Negros Women for Tomorrow Foundation (NWTF) bagged the recognition as the Eduardo Aboitiz Awardee for Outstanding Institution for their efforts to uplift the lives of many women. NWTF, an organization that provides capital to poor women to start in small scale business, has been providing livelihood opportunities through its program called “Project Dungganon” (dungganon is Hilagaynon or honorable). Its executive director, Dr. Cecilia del Castillo, was sent to India to learn the Grameen Credit system, on which the program is based. “We did not publicize our work. We just did our jobs. The people we helped are those who have little opportunities in life. 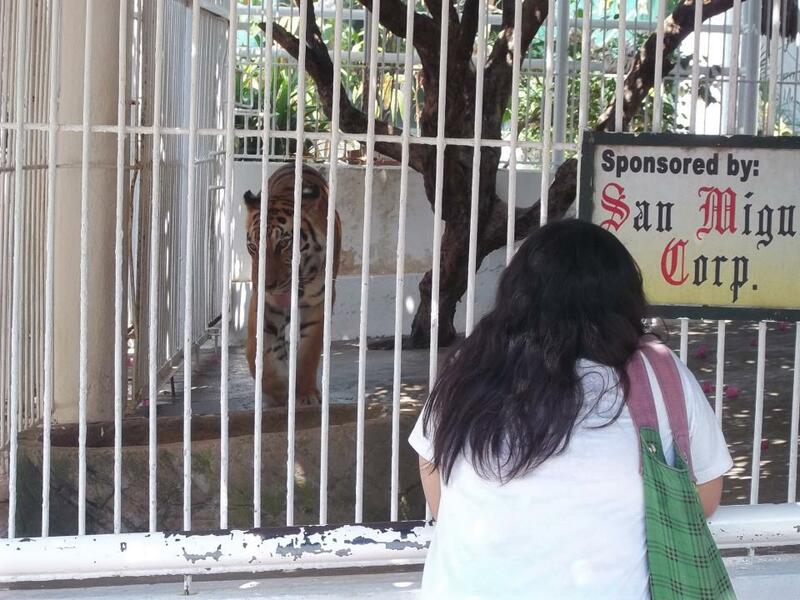 They are the ones who really need our help,” said Manuel Margate, NWTF client service department manager, said in Bisaya. He said NWTF will use the Php 440,000 cash prize received during the RAFI Triennial Awards to expand and improve Project Dungganon so that the organization can uplift the lives of more poor people. 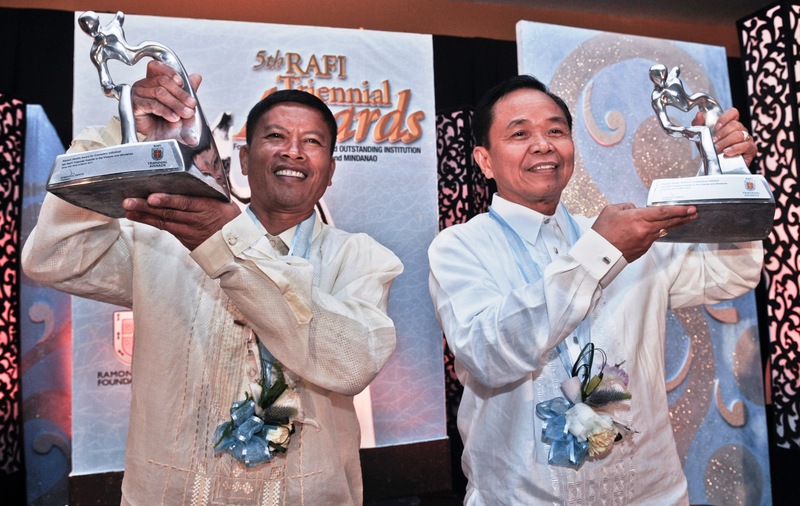 The RAFI Triennial Awards was launched in Dec. 6, 1996 during the 39th anniversary of the foundation to commemorate the philanthropic, humanitarian, and holistic ideals of RAFI founders Don Ramon Aboitiz and his son Don Eduardo Aboitiz. The awards program is now on its 15th year this year, which is also the 45th year of RAFI. It is one of the awards capabilities of RAFI, recognizing individuals and institutions that go the extra mile in bringing about positive change and in uplifting the quality of life of communities.